By Michael P. Milburn PhD. It’s not easy to break with tradition in one of the older settlements in North America. But when a new grade school was being planned in Sydney, Nova Scotia to replace a well-worn complex of buildings, the key stakeholders involved decided to do exactly that. The resulting new facility incorporates not only new electronic building controls and teaching equipment, but an entirely new approach to harvesting daylight in the classroom. Vision glass is a popular architectural feature of schools. Unfortunately, vision glass is not a successful daylighting strategy and, more often than not, windows will lead to glare, overheating and unacceptable levels of contrast within a classroom. Window coverings and other means of blocking direct sunlight are considered essential used, but, when used by teachers, have a tendency to remain constantly closed. This undermines opportunities for daylighting. Mike Harvey, senior partner at architect ﬁrm Harvey MacKenzie, was tasked with creating Brookland Elementary in an older, well-established neighborhood. Te land was well-positioned on an open green space, with the adjacent streets lined with stately, mature trees. When it came to glazing options, Harvey notes that school designs specify a certain ratio of glazing to ﬂoor area . . . yet “all that vision glass ends up being occluded with blinds”. Don Lohnes is an architect employed by Nova Scotia’s Department of Education to work with local school boards on new school design. According to Lohnes, window coverings present a maintenance challenge for the school boards. The appearance of blinds and curtains can quickly deteriorate, and it is a challenge to ﬁnd money in the budget to maintain them. Lohnes became interested in Solera for several practical reasons including its contribution to their LEED strategy for the building. He saw that Solera would eliminate the need for blinds, provide better quality light and save energy due to Solera’s high insulation value and the reduced need for artiﬁcial lighting. 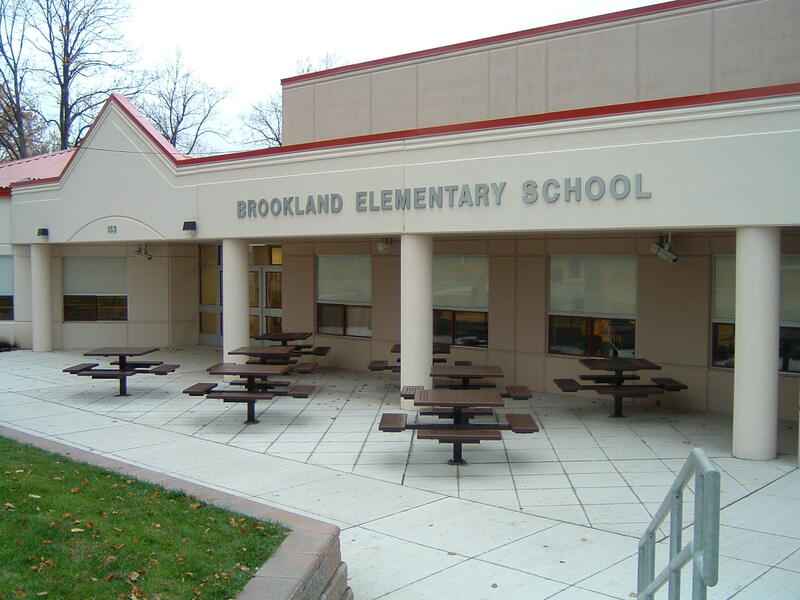 Brookland Elementary features standard punched window, where Solera S is integrated in window framing systems above vision glass sliders. This conﬁguration allows all the advantages of diﬀuse daylighting from the translucent glazing while maintaining the aesthetic and functional value of vision glass. Te elegant glass exterior of Solera blends seamlessly with the vision glass below it, creating a visually appealing building envelope. Unlike plastic translucents, the appearance of Solera will not deteriorate over time. Te combination of vision glass and Solera in Brookland Elementary will maintain their function and beauty over the building’s entire life cycle.